Indeed, there is so much more involved in making wine, even back to Galileo’s time, but so what? It’s a pretty thought and suits me. “Wine is bottled poetry” as was said later (in 1883) by Robert Lewis Stevenson, so I’m inclined to agree and I will gladly accept Galileo’s viticultural description because it’s romantic. Wine is, after all, romance. And September 3 this year, was Cabernet Sauvignon Day. It reminded me of the first time I enjoyed the Cabernet Sauvignon of Don Melchor; the most euphorically romantic Cab I enjoyed. 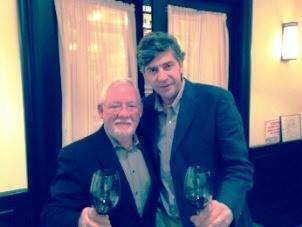 The winery hosted a luncheon at “The Grill on the Alley” in Chicago in September of 2014 and winemaker Enrique Tirado Santelices was present to discuss the 2010 release (24th vintage) of Don Melchor. The blend is 3% Cabernet Franc, 97% Cabernet Sauvignon, all estate grown from seven selected parcels of their estate in Chile’s Puente Alto appellation. Enrique brought along bottles of finished wine from each of the parcels and we tasted each separately. I remember thinking parcel #1 was classic Cab, with ripe red fruit, and somewhat high in alcohol (it was actually 14.5%). Parcel 2 was reserved aromatically, a little thin, but with rounder tannin than Parcel 1; more black fruit and a note of chocolate. Parcel 3 also had a light nose but with hint of blackberry, had exceptional balance though with a slightly tannic but enjoyable and long finish. Parcel 4, much improved with air in the glass, was initially too concentrated with taste of forest floor and leaf compote. Parcel 5 offered aromas of subtle cherry and blackberry. And so on went my notes. Since then, and while pouring a different wine at a retail outlet, I noticed the store had in stock a 2005 Don Melchor. Not being assured of their storage conditions, I purchased a bottle as a sample. After tasting it, I went back and bought the four remaining, then tasted another 2005 against the 2010. While the 2005 was more savory and with more earth and black pepper in the nose and the 2010’s fruit more lively, both wines were exceptionally polished, with smooth tannins and a long finish. 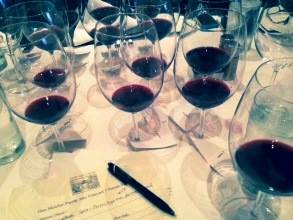 The 2005 offered deep notes of dark fruit and cedar; the 2010 more blackberry, the 2005 had more texture. If I had to choose, however, I would still chose both. Ends up that Don Melchor has had six vintages, ranked by Wine Spectator, as among their “Top 100” Wines of the Year. 2009 was awarded 94 points. 2010 was given 95. Blending is the art and the craft that follows Galileo's sun and water. And Enrique Tirado explains this old world approach perfectly: "For me, Don Melchor is an ongoing quest to get the truest possible expression from every plant in the vineyard to attain beauty in the equilibrium from each Puente Salto terroir harvest. Though I use technology as a tool to improve my knowledge, perhaps more importantly it is by observing and sensing what is happening with each plant and every wine that gives me that perfect balance year after year.” (Emphasis mine). Each parcel growing vines on alluvial soil, will yield different juice: some producing wines more expressive in fruit characteristics; others lending more tannin, and others more elegance. Tasting the finished wine of Enrique Tirado demonstrated (to me) that while I may never stop learning about wine, I will never be a wine maker. Don Melchor is polished. Elegant. A masterful blend of many elements resulting in a natural composition that surpasses the contribution of its individual parcels. 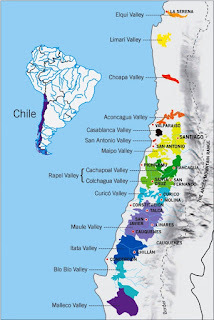 The Puente Alto Vineyard is in the Alto Maipo Valley at the foot of the Andes Mountains. 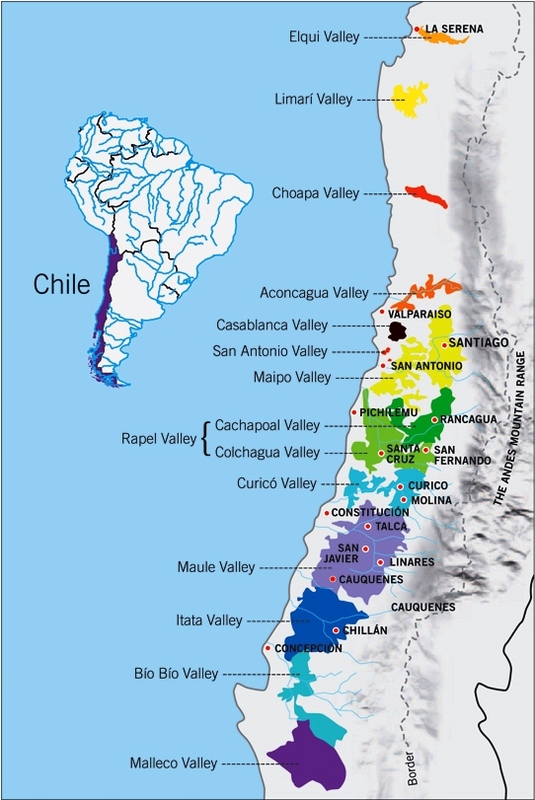 It is located in the Maipo River Basin on the northern bank of the river and at 2100 feet above sea level. Vine stock comes from pre-phylloxrera masal selection, dating back to the first vines brought to Chile from Bordeaux in 1883 by Don Melchor Concha y Toro and his wife Emiliana Subercaseaux. Vines average 30+ years. Est. Drink Through: 2020-2010 with good storage.